I dont do many selfies. It’s virtually impossible with the SLR, but I do get the odd reflection with my little Ixus camera. I’m in this shot, that’s my hand. There’s blue ink on my thumb from doing sudoku with a leaky pen. I was actually trying to get a shot of ‘motion’. 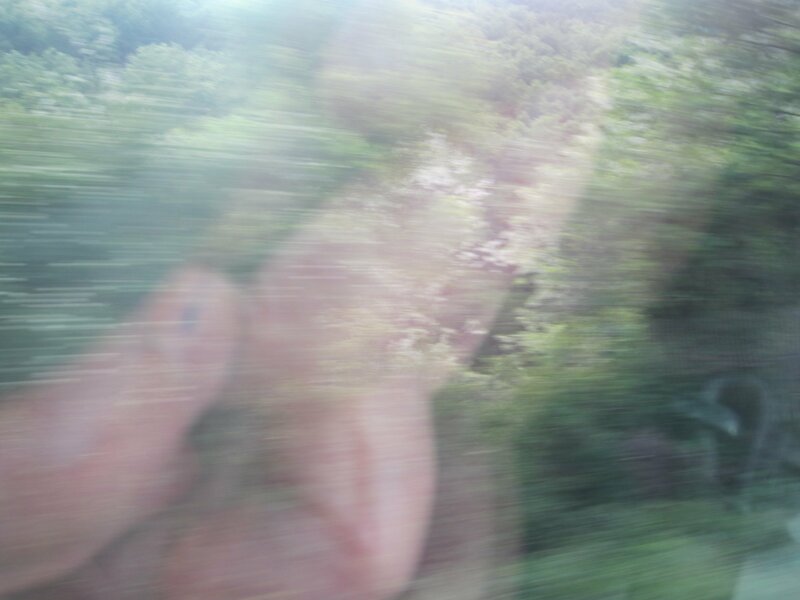 I was on the train coming home from Toulouse recently, it was 6pm and there was the Photo Challenge in the email. Could I blog from my smartphone? No, as it happened, too many tunnels and mountain valleys, no signal most of the way back. Boo hoo, I didnt get my pingback in the top twenty listed. I tried to get some blurry photos with the camera anyway, but it was getting dark. The lights inside the carriage reflected on the window. 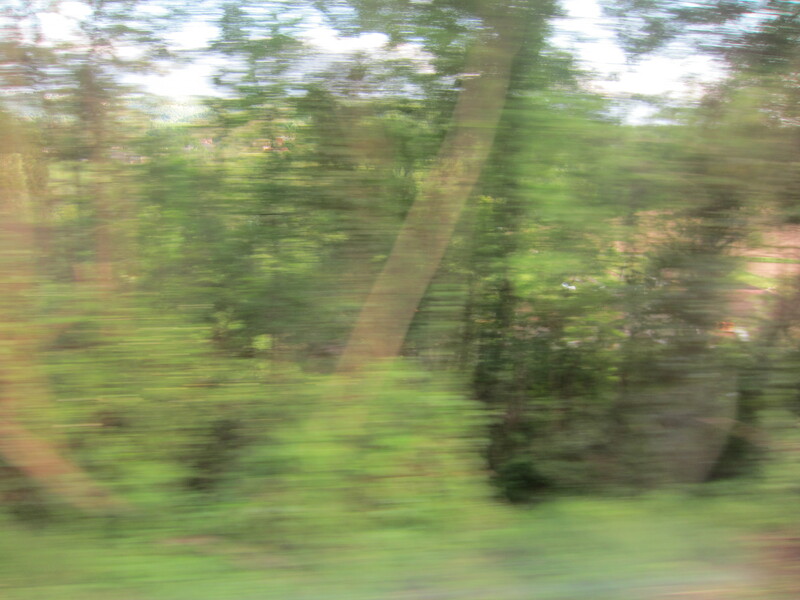 So, a failed photo and a blog about not being able to blog. I’m happy to have failed photos, in fact I’ve got thousands. I learn that way, plus you get the odd interesting shot. The moral is ‘keep blazing away!’. The second photo is a slightly more successful blur. Keep trying folks! Categories: Photos | Tags: photography | Permalink.